Cynics throughout Egypt could only smirk. 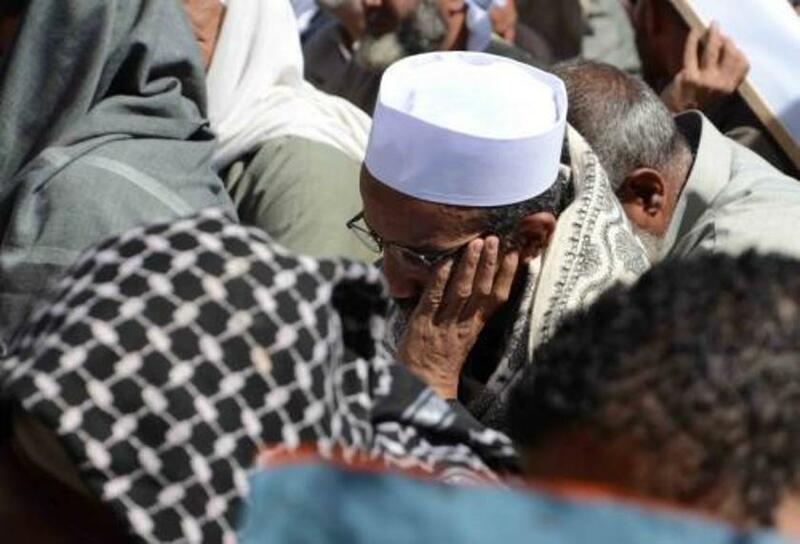 Thousands of Islamists protested against the recent wave of political violence, answering the call of one of its most notorious perpetrators, the Jama’a Islamiya. Throughout the 1990s they led an armed campaign against the Mubarak regime, as well as targeting tourists in a bid to discredit the state. In the early 2000s, beaten and discredited themselves, the Jama’a Islamiya issued its famous ‘Revisions’. Jailed leaders reconsidered their violent philosophy, publishing tomes on the errors of their way. They also reconciled with the government, securing release from prison for many. Since then the group has largely laid low, at least until the revolution. Like others in the formerly forbidden Islamist trend, the Jama’a Islamiya took advantage of new political freedom to form a party, Building and Development. They allied with the Salafi Nour Party but played second fiddle, offering their popular support especially in Upper Egypt in exchange for a handful of parliamentary seats. But as Egypt descended into a morass of political chaos and violence, it was the Jama’a Islamiya which took the lead in condemnation. The question is, why? By ‘among ourselves’ Ahmed meant all Egyptians, even though he labeled the opposition as troublemakers. He believed Mahmoud Shaaban’s recent fatwa authorizing their death was near-appropriate. Ahmed has a distaste for politics in general, but the times are changing. “There is a jurisprudence of reality; if the people now want ballot boxes, we will use them,” he said. Please click here to read the whole article at EgyptSource. « Is Islam by Nature Political?